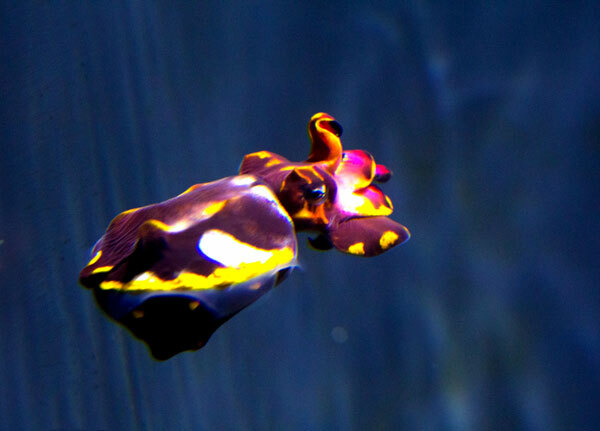 As fascinating as these animals are in photos, their changing colors and movement are even more enchanting! 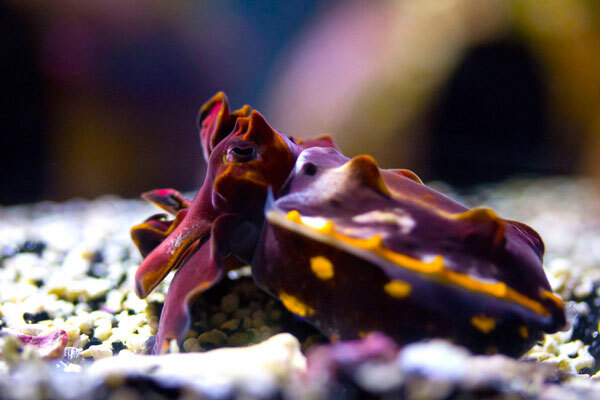 These videos are not our footage from the academy, but even more amazing behavior of wild cuttlefish! 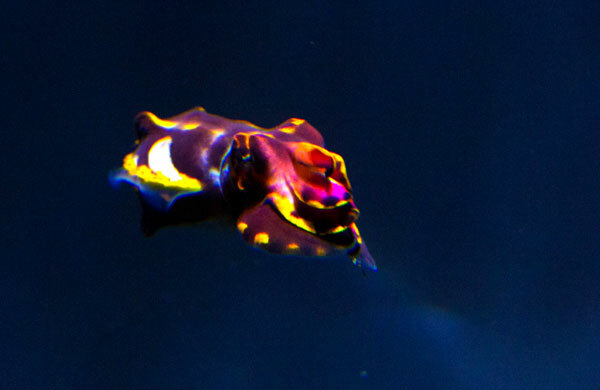 Flamboyant Cuttlefish hunting with their incredible retractable tongues. 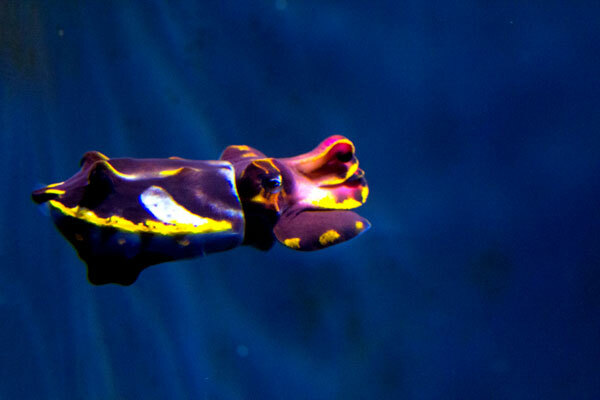 Two incredible videos of wild Flamboyants in the Lembeh Strait, including hatching! 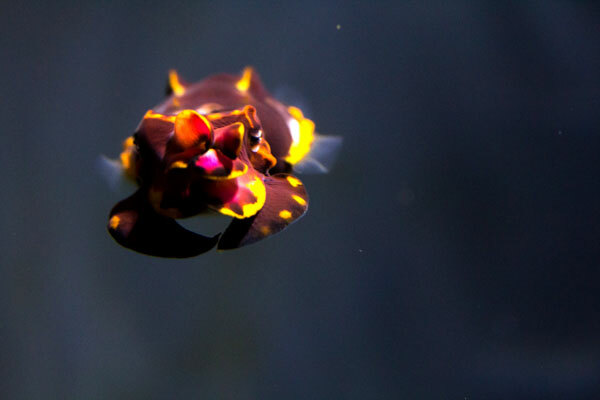 And here’s one last video from (a target=”blank” href=”http://video.calacademy.org/details/288”>behind the scenes at the California Academy of Sciences! 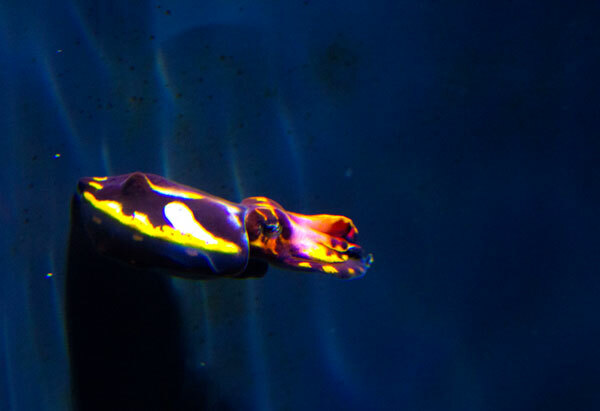 I love cuttlefish in general and this one is so beautiful. 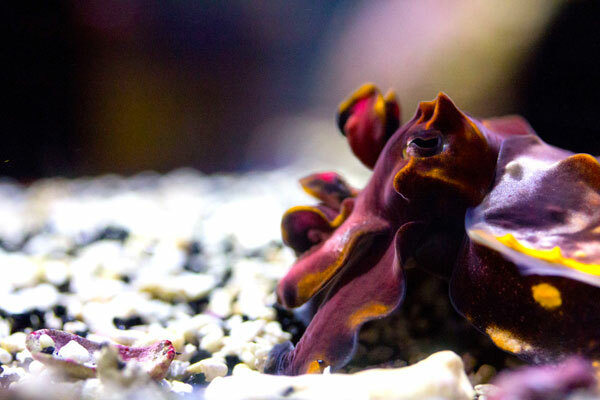 It looks like an orchid.